Fuel Injectors rebuilt remanufactured no core charges sold outright we can meet your needs with many different lb per hour flowing fuel injectors low ohm or high ohm fuel injectors. Delphi & Rochester Products Rebuilt Remanufactured Fuel Injectors. These Fuel Injectors are completely reconditioned with new Filters & O-rings installed on them. ROCHESTER / DELPHI fuel injector 17084479 17084614, 17105005 832-11112? 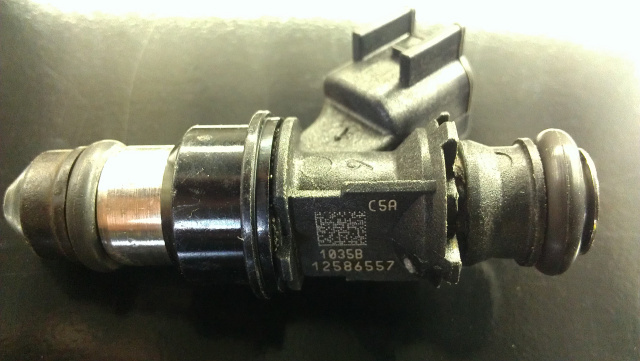 ROCHESTER / DELPHI fuel injector 25173863 17113317 832-11147 ? Motor Man will ship these Injectors out promptly when your payment is received.